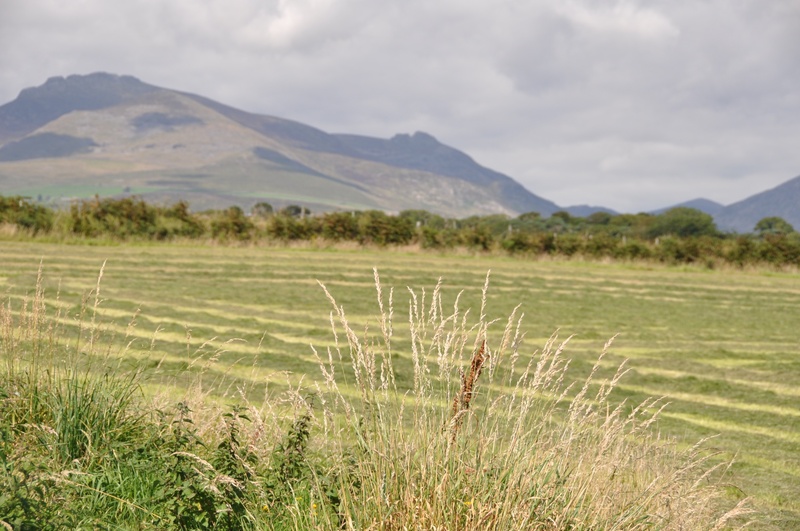 Annalong is a small town in County Down, set in a beautiful location between the Irish Sea and the Mourne Mountains. 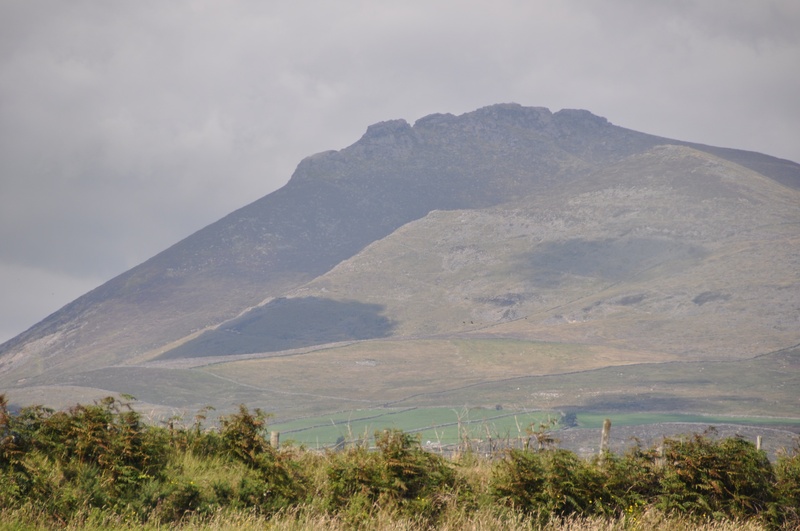 From Annalong I explored the townlands called “Moneydorragh”. 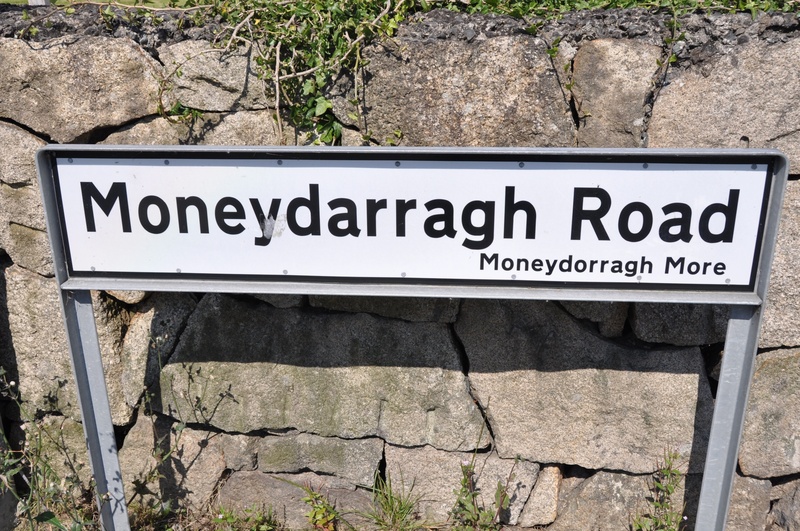 I found three of them: Moneydorragh Beg, Moneydorragh More, and Moneydorragh More Upper. 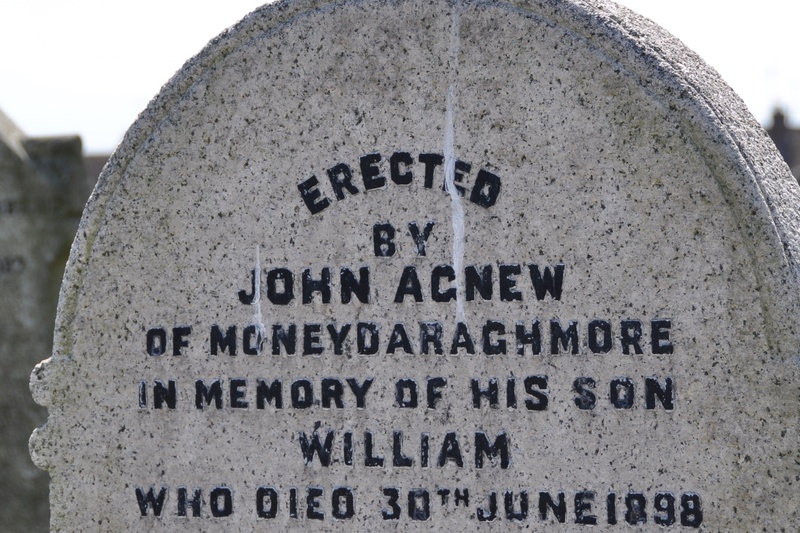 According to the PLACENAMESNI website, the name “Moneydorragh” comes from the Irish Muine Dorcha meaning “dark thicket/scrub”. 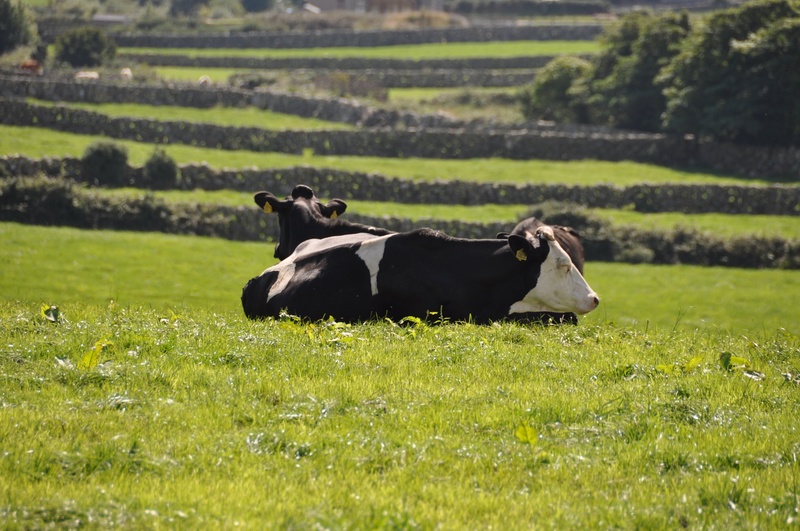 Adding more meaning “great”or beag meaning “little” simply reflects the size of each townland. 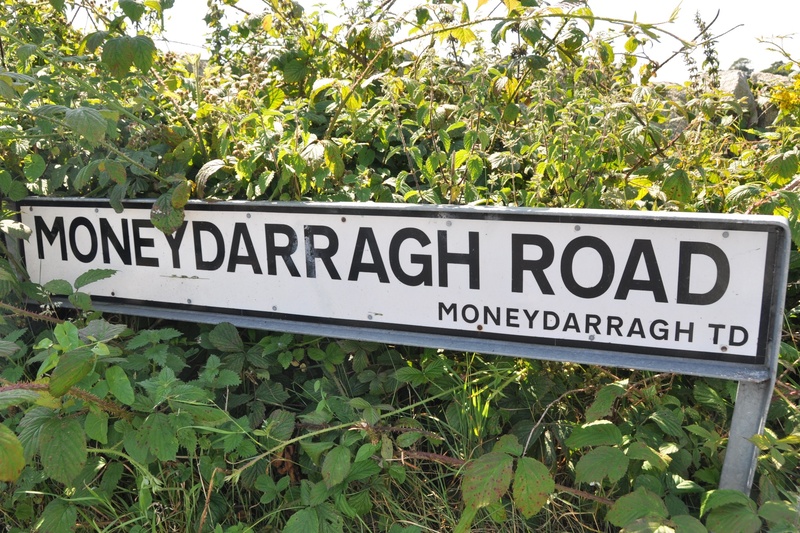 The spelling of the townland name is officially fixed as “dorragh”, but locally, the alternative “darragh” is in common use. 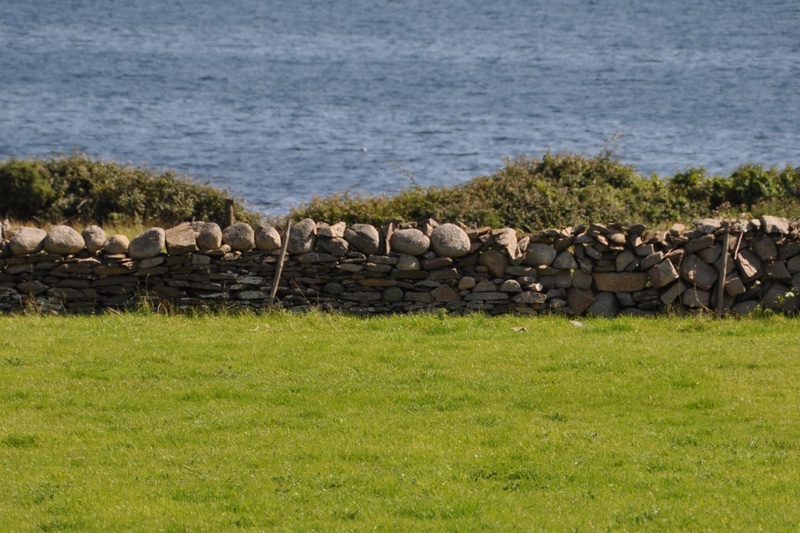 Rising from the shore towards the Mournes, Moneydorragh More covers most of Annalong town, many stone walls, and the farms in between. 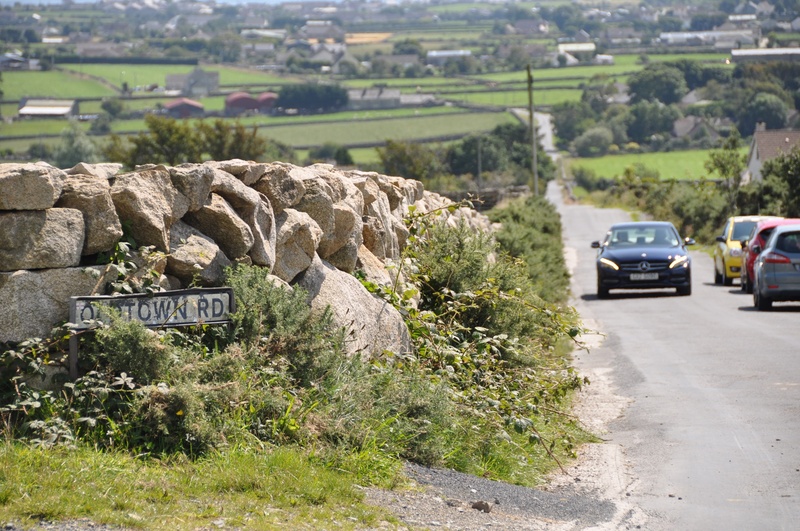 The smaller townland of Moneydorragh Beg also starts at the shore to the south of Moneydorragh More, and rises uphill with the Stewarts Road and Valley Road as far as Longstone Road and Moneydarragh Primary School. 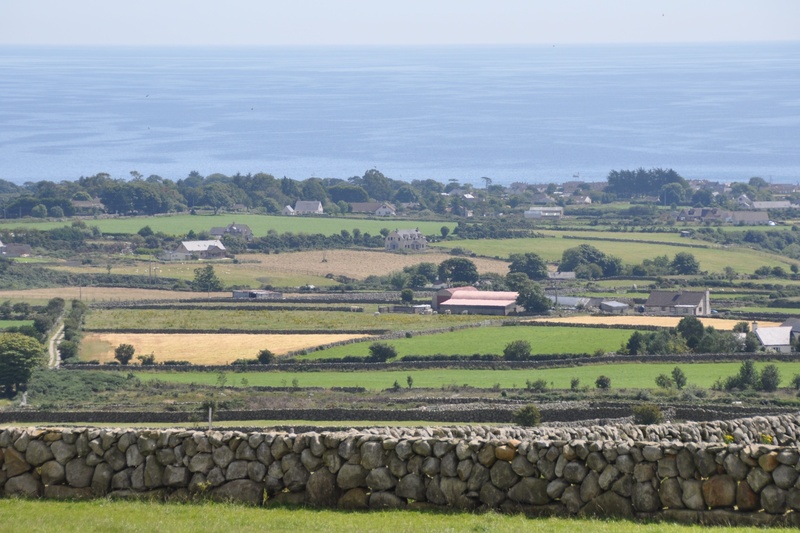 Climbing up through the Moneydorragh townlands, and peering over the stone walls, will reward you with great views. I took the next photo at the junction of Head Road and Oldtown Road. Two Moneydorragh townlands meet here. Downhill and to the right, is More; uphill and to the left is More Upper. Why so many cars on this road? It’s the overflow of hikers from the Carrick Little carpark. Most of them probably headed uphill through Moneydorragh More Upper into the High Mournes. Good luck to anyone tackling the summit of Slieve Binnian. I settled for the softer option of the Annalong coastal walk (in the townland of Mullartown) and an excellent lunch in the Top Nosh restaurant back in Moneydorragh More. 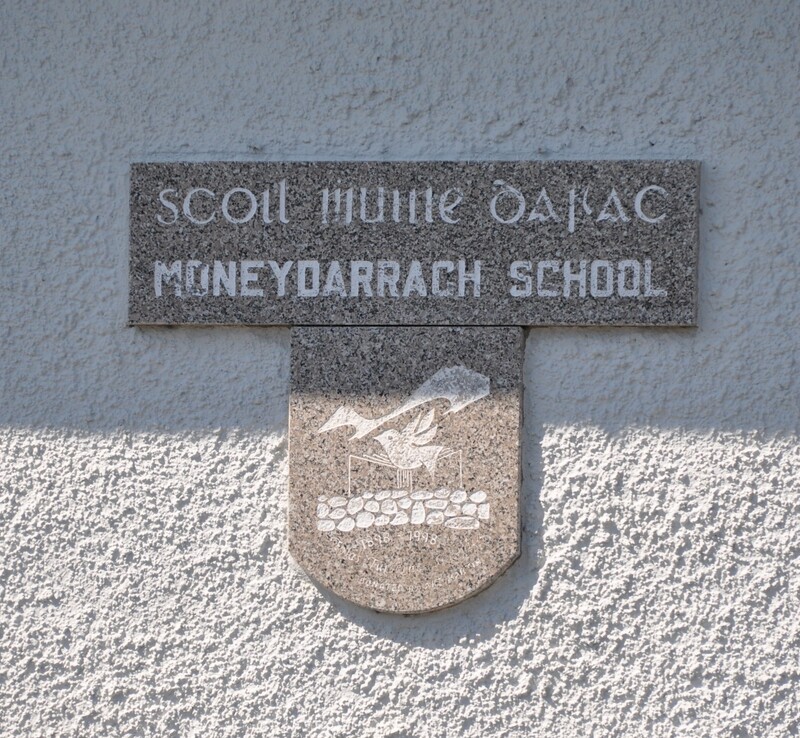 Click here for a link to the history of Moneydarragh Primary School, including their Centenary Book. 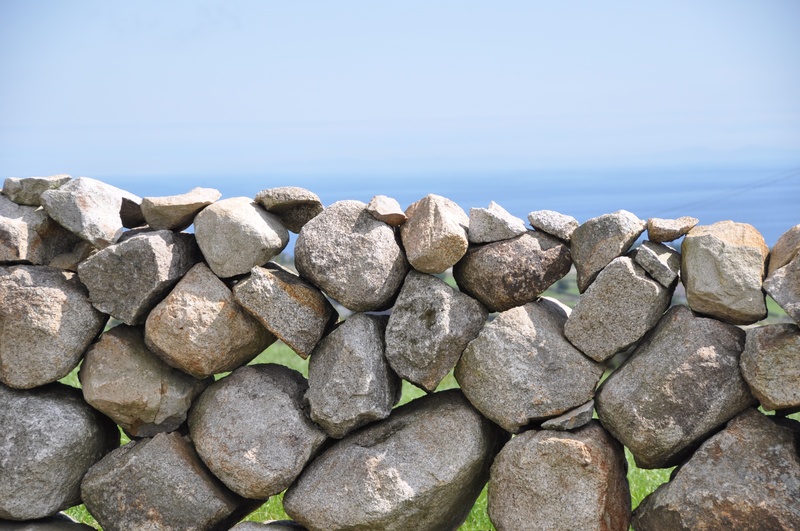 Which other townlands border the Moneydorragh townlands? 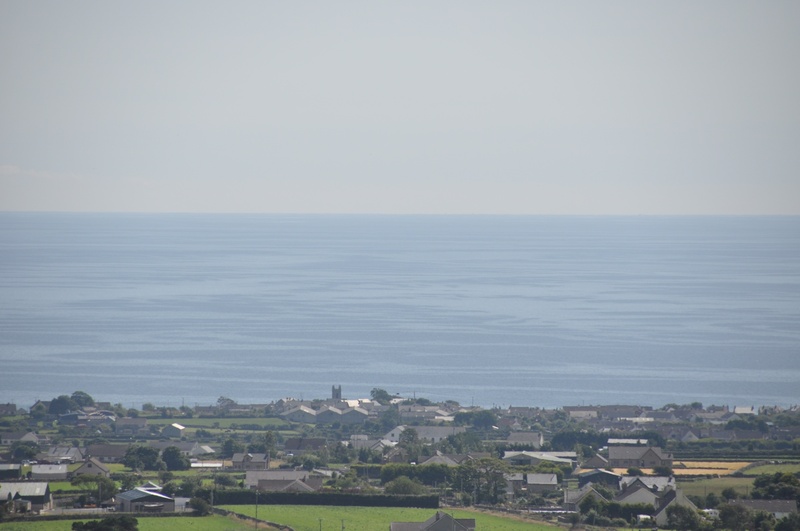 To the north (across the Annalong river and harbour) Mullartown. To the south of Moneydorragh Beg: Ballymartin and Ballyveagh More. 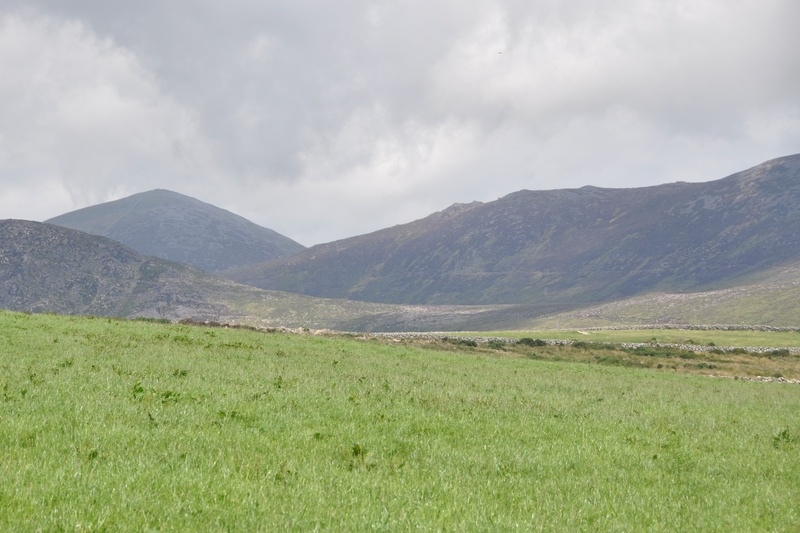 Higher into the hills, the townland of Mourne Mountains East. Fantastic stuff. I haven’t done that Carrick Little walk yet but heard its amazing. That’s my next adventure for sure.